Frk. Slej: A Purple Flower! Now that it is really dull and rainy outside, it is nice to have a bright purple flower in my living room reminding me that it will again be spring and summer. 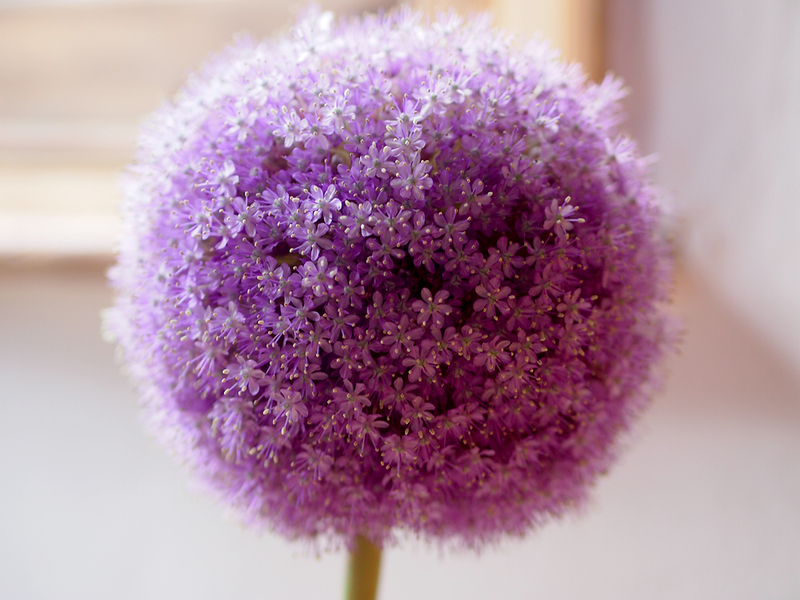 It looks like a over-sized flower from chives, but I have no idea what it is called. Maybe one of you can help me? I wish everyone a nice weekend.